Considering the fact that President Muhammadu Buhari has been the best tool in achieving the Islamisation agenda, the northern politicians have continued to maintain that Buhari is irreplaceable. Alhaji Ahmed Dogara, former Chairman, Chanchaga Local Government Area of Niger, has said that President Muhammadu Buhari remains the best candidate for 2019 election in all the registered political parties. Dogara made this assertion in an interview with newsmen in Minna on Tuesday. He said that there was no any presidential candidates among the registered political parties that could match the credibility of President Buhari at this material time. It could be noted that northern governors sees north as Nigeria while other the rest of Nigerian are treated as conquered territories. 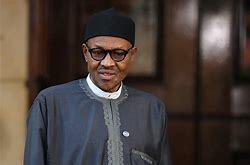 Having seen how Buhari have succeeded in shielding the northern agenda, The former council chairman said that the present administration has done creditably well in the fight against corruption, insurgency, militancy and cattle rustling.